Match ends, Roma 3, Sampdoria 2. Second Half ends, Roma 3, Sampdoria 2. Francesco Totti (Roma) is shown the yellow card for excessive celebration. Goal! Roma 3, Sampdoria 2. Francesco Totti (Roma) converts the penalty with a right footed shot to the bottom right corner. Milan Skriniar (Sampdoria) is shown the yellow card for a bad foul. Penalty Roma. Edin Dzeko draws a foul in the penalty area. Penalty conceded by Milan Skriniar (Sampdoria) after a foul in the penalty area. Attempt missed. Juan Iturbe (Roma) left footed shot from the left side of the box is too high. Bruno Peres (Roma) wins a free kick on the left wing. Foul by Edgar Barreto (Sampdoria). Attempt blocked. Alessandro Florenzi (Roma) right footed shot from the right side of the box is blocked. Assisted by Mohamed Salah. Substitution, Roma. Juan Iturbe replaces Radja Nainggolan. Corner, Sampdoria. Conceded by Bruno Peres. Attempt blocked. Edgar Barreto (Sampdoria) right footed shot from outside the box is blocked. Assisted by Lucas Torreira. Corner, Sampdoria. Conceded by Alessandro Florenzi. Lucas Torreira (Sampdoria) wins a free kick on the right wing. Substitution, Sampdoria. Milan Skriniar replaces Dodô because of an injury. Attempt saved. Ricardo Álvarez (Sampdoria) left footed shot from the centre of the box is saved in the centre of the goal. Assisted by Karol Linetty. Ante Budimir (Sampdoria) wins a free kick on the right wing. Ante Budimir (Sampdoria) wins a free kick in the attacking half. Attempt missed. Francesco Totti (Roma) right footed shot from outside the box is high and wide to the right. Assisted by Radja Nainggolan. Corner, Roma. Conceded by Dodô. Corner, Roma. Conceded by Emiliano Viviano. Attempt saved. Mohamed Salah (Roma) right footed shot from the centre of the box is saved in the bottom left corner. Assisted by Francesco Totti with a through ball. Attempt missed. Edin Dzeko (Roma) right footed shot from the centre of the box is too high. Assisted by Francesco Totti. Foul by Ante Budimir (Sampdoria). Attempt saved. Mohamed Salah (Roma) right footed shot from the right side of the box is saved in the bottom right corner. Assisted by Juan Jesus with a through ball. Attempt saved. Edin Dzeko (Roma) left footed shot from the centre of the box is saved in the centre of the goal. Assisted by Mohamed Salah with a cross. Attempt missed. Mohamed Salah (Roma) header from the right side of the six yard box is too high. Bruno Peres (Roma) wins a free kick in the defensive half. Substitution, Sampdoria. Ante Budimir replaces Luis Muriel. Goal! Roma 2, Sampdoria 2. Edin Dzeko (Roma) left footed shot from the centre of the box to the centre of the goal. Assisted by Francesco Totti with a through ball. Corner, Roma. Conceded by Matías Silvestre. Attempt blocked. Alessandro Florenzi (Roma) right footed shot from outside the box is blocked. Assisted by Bruno Peres. Corner, Roma. Conceded by Jacopo Sala. Offside, Sampdoria. Emiliano Viviano tries a through ball, but Luis Muriel is caught offside. Attempt missed. Daniele De Rossi (Roma) header from the centre of the box misses to the right. Assisted by Francesco Totti with a cross following a corner. Attempt saved. Edin Dzeko (Roma) right footed shot from outside the box is saved in the bottom right corner. Assisted by Francesco Totti. Corner, Roma. Conceded by Vasco Regini. Offside, Roma. Alessandro Florenzi tries a through ball, but Mohamed Salah is caught offside. Attempt missed. Francesco Totti (Roma) right footed shot from outside the box misses to the left. Assisted by Mohamed Salah. Hand ball by Fabio Quagliarella (Sampdoria). Foul by Luis Muriel (Sampdoria). Daniele De Rossi (Roma) wins a free kick on the left wing. Foul by Lucas Torreira (Sampdoria). Attempt missed. Bruno Peres (Roma) right footed shot from outside the box is close, but misses to the left. Assisted by Radja Nainggolan. Attempt saved. Kevin Strootman (Roma) right footed shot from the centre of the box is saved in the centre of the goal. Assisted by Mohamed Salah. 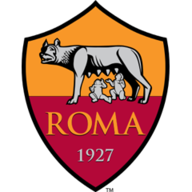 Second Half begins Roma 1, Sampdoria 2. Substitution, Roma. Francesco Totti replaces Diego Perotti. Substitution, Roma. Edin Dzeko replaces Stephan El Shaarawy. Substitution, Sampdoria. Dodô replaces Daniel Pavlovic. First Half ends, Roma 1, Sampdoria 2. Offside, Roma. Juan Jesus tries a through ball, but Radja Nainggolan is caught offside. Corner, Roma. Conceded by Edgar Barreto. Corner, Roma. Conceded by Daniel Pavlovic. Attempt blocked. Fabio Quagliarella (Sampdoria) right footed shot from the left side of the box is blocked. Juan Jesus (Roma) wins a free kick in the defensive half. Corner, Sampdoria. Conceded by Wojciech Szczesny. Attempt saved. Fabio Quagliarella (Sampdoria) right footed shot from the centre of the box is saved in the bottom right corner. Assisted by Edgar Barreto with a cross. Hand ball by Kostas Manolas (Roma). Goal! Roma 1, Sampdoria 2. Fabio Quagliarella (Sampdoria) right footed shot from very close range to the centre of the goal. Assisted by Ricardo Álvarez with a cross following a corner. 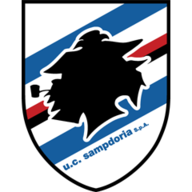 Corner, Sampdoria. Conceded by Radja Nainggolan. Attempt blocked. Lucas Torreira (Sampdoria) right footed shot from the centre of the box is blocked. Attempt missed. Alessandro Florenzi (Roma) right footed shot from outside the box misses to the left. Assisted by Mohamed Salah with a cross following a corner. Offside, Roma. Stephan El Shaarawy tries a through ball, but Bruno Peres is caught offside. Matías Silvestre (Sampdoria) wins a free kick in the defensive half. Jacopo Sala (Sampdoria) wins a free kick on the right wing. Mohamed Salah (Roma) wins a free kick on the right wing. Offside, Roma. Bruno Peres tries a through ball, but Stephan El Shaarawy is caught offside. Attempt saved. Luis Muriel (Sampdoria) right footed shot from the right side of the box is saved in the bottom left corner. Assisted by Ricardo Álvarez. Attempt blocked. Stephan El Shaarawy (Roma) right footed shot from outside the box is blocked. Assisted by Kevin Strootman. Goal! Roma 1, Sampdoria 1. Luis Muriel (Sampdoria) right footed shot from a difficult angle on the right to the top left corner. Assisted by Vasco Regini. Corner, Sampdoria. Conceded by Juan Jesus. Attempt saved. Daniel Pavlovic (Sampdoria) left footed shot from more than 35 yards is saved in the top right corner. Attempt blocked. Ricardo Álvarez (Sampdoria) left footed shot from outside the box is blocked. Assisted by Daniel Pavlovic. Attempt missed. Radja Nainggolan (Roma) right footed shot from outside the box is too high. Assisted by Mohamed Salah. Attempt missed. Stephan El Shaarawy (Roma) left footed shot from the centre of the box is high and wide to the left. Assisted by Diego Perotti. Goal! Roma 1, Sampdoria 0. Mohamed Salah (Roma) header from the right side of the six yard box to the bottom right corner. Assisted by Diego Perotti with a cross. Attempt saved. Fabio Quagliarella (Sampdoria) right footed shot from outside the box is saved in the bottom left corner. Attempt missed. Luis Muriel (Sampdoria) right footed shot from outside the box is close, but misses to the right. Assisted by Lucas Torreira. Attempt blocked. Alessandro Florenzi (Roma) right footed shot from outside the box is blocked.